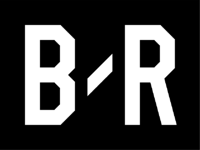 BleacherReport is one of the leading sports news websites, mostly popular in the United States. They say about themselves that they are user-driven: “The strategy is simple. Fans tell us what they want and we create, curate and deliver the content they are seeking.” BleacherReport initially used Ruby on Rails, but later, they experienced issues with scaling. This is where Elixir comes in – thanks to it BleacherReport reduced AWS instances from 150 to 5. Another thing that developers mention is that it allowed them to reduce complexity and work in smaller teams. 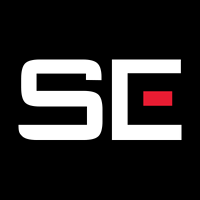 SquareEnix is one of the major video game developers. They produce, publish and distribute video games. They are mostly famous for franchises such as Final Fantasy, Kingdom Hearts and DeusEx. They use Elixir equally frequently to Ruby in their services, e.g. identity, CMS, and communicating with external and internal APIs. 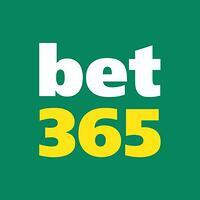 One of the biggest betting companies on the market. They render services to over 19 million customers in 200 countries. Bet365 switched from Java to Erlang and Elixir, and it allowed them to scale more easily. They handle over 6 million HTTP requests and more than 500,000 database transactions per second! Pinterest is a big social network that is mostly all about “pins”, i.e. videos or images that can inspire people and motivate them. Pinterest has more than 150 million monthly users. They use Elixir for their notification system, and thanks to that, they reported a tenfold drop in the codebase size from 10,000 lines to only 1,000 while also cutting server requirements by a half! Moz is SaaS company that helps clients from all around the globe to be more visible in search engines by providing special tools to improve SEO. They adopted Elixir to create a database-free solution for analytics. Thanks to that, Moz are able to fetch data a lot faster than with previous MySQL based solution. We use PagerDuty at Netguru to make sure that when something bad happens to one of the projects in production, we know about it almost instantly. PagerDuty is used by clients such as IBM, Yelp, Groupon, Panasonic, Evernote, and many others. They use Elixir with a few other programming languages to create new features and help maintain old code. AlphaSights is a “knowledge broker” from the UK – they connect professionals from different sectors with clients that are in need of knowledge. They are also one of the fastest growing companies headquartered in the UK. They use Ruby and Elixir to create new services in order to make the company work even smarter and more efficiently. ClubCollect is a company that helps sports clubs collect their membership fees. ClubCollect is a fairly simple app, so one could ask a question: why use Elixir? Well, at the latest ElixirConfEU, one of their developers showed that Elixir can be as good a technology for their purposes as any other, and because it’s a great platform, it can be easier to scale. LonelyPlanet is company renowned for their travel guides. Founded in 1972, they created their first website in 1996. Since 1972, they have helped people around the world travel with their guides and their website with a lot of useful tips, articles, message boards and integrations with a few external booking providers.They rewrote the serving layer for content in Elixir, and you can read more about it here. One of the biggest messaging companies, acquired by Facebook in 2014 for $19bn. WhatsApp provides messaging services to more than 1 billion people around the world, and they do all this having a really small team. With only 50 engineers, they handled around 900 million users back in 2015. They wrote their application fully in Erlang, which is compiled to same bytecode that Elixir is. Elixir is getting ever wider recognition in the industry as a language that can provide a fast pace of development and great performance. It can even successfully compete with languages such as Java in terms of speed and Ruby in terms of the sheer joy and speed of development. Elixir is also a go-to solution for soft real-time communication-heavy applications.